The standard $200.00 setup fee is waived. 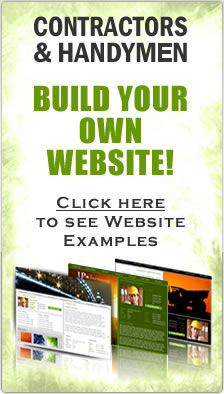 FREE Website Templates that are construction industry specific. Change designs anytime you want at no additional fee. A nice gallery to display your project photos is included. When clicking on a thumbnail a larger photo will pop off the page and be showcased. We will host your website for FREE. You don't need to worry about hosting fees, setting up your DNS or any other technical items. If need any help... don't worry! We will give you unlimited free email support to make sure you are happy with your new website. If you should choose to upgrade to another service, there will be no upgrade fees. Just contact us and we will assist you. To be able to really cover your area well and achieve more traffic to your website, you should have one webpage built for each service your provide and for each city. This can add up to hundreds of pages. We will provide you your own custom email address and email account that goes with your new domain name. We will manually submit your new website to the top major search engines for you. This includes Google, Yahoo & Bing. We also offer some other great SEO Packages to drive more traffic to your site. $2500.00 Value for only $499.00 / This includes setting up the account, setting up the URL, DNS, Email account, building the custom website (initial 10 pages included), configure the mail account and email forms, build the dynamic photo gallery, build the fat footer, design the menu bar, install a custom color and font arraignment for the site, build a sitemap, ping Google and more... WE WILL BILL YOU FOR THIS AS A ONE TIME FEE AFTER YOU SIGN UP FOR THIS PACKAGE. We have developed a very nice, Search Engine Optimized, Construction Industry website that we can offer you. 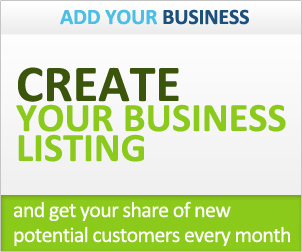 This is a very rich site that loads dynamically, is fast, clean and will bring you customers. VISIT OUR CUSTOM WEBSITE PAGE FOR EXAMPLES! Would you like a custom, high tech, search engine optimized site but don't want to pay the $6000.00 cost? Don't worry... We can use our custom template and it will make your company stand out. A $99. per month value for FREE! - You will receive a TOP FEATURED AD in the directory listing of your choice in our Nationwide Contractor Home Pros Directory. This banner spot sells for $99.00 per month and its yours for FREE as long as you maintain this hosting option or greater. SEO (Search Engine Optimization) is a value of $149.00 per page and we will include it for FREE for the first 10 pages we build for you. This is very important for great search results and traffic to your site. Not only will we do all the "on-page SEO" for your site, we will also optimize your site for the local area that you offer your services in. This is huge for additional website traffic. NOTE: You need to creat a FREE ACCOUNT before you can purchase a website. Please Click Here Now! All businesses thrive on technology. Having great Websites for Contractor businesses is one of the most important things you can do as a business. Custom Website Designs for Contractor can take your business from nothing to one of the most popular ones on the internet. Here are a few benefits of investing in custom Websites for Contractor businesses. First, Websites for Contractor businesses are a great way to show off all of the great things about your business. The fact that they are customized using unique Contractor website templates makes them appealing and unique to the rest of the internet. Many website designers use ready-made templates for every site they design no matter what type of business they are. For contractors, these custom website designers invest time to make each one unique for your website as a contractor. Another great way that custom Websites for Contractor businesses help is that it draws in many new customers. Customers love it when they find a website that is easy to maneuver and interesting to look at. Most custom designers also utilize SEO for Contractors as well, bringing your appeal to the forefront of the internet. This can increase the traffic flow of your website, essentially turning a lot of your traffic into actual paying customers. The final benefit of custom Websites for Contractor businesses is that it not only helps gain a customer base, but maintains it as well. Most of the time, custom websites for contractors offer such an appeal that customers will keep coming back to use your website or business. Many businesses have hard to navigate pages, which drive customers away and right into your business arms. As you can see, there are many great benefits of investing in great custom Websites for Contractor businesses. Websites for Contractor businesses not only shows your business off to both customers and competitors, but it helps you gain and sustain your clientele. Although it may seem like a huge investment, it will always pay off in the end. For more information, contact a website designer today.